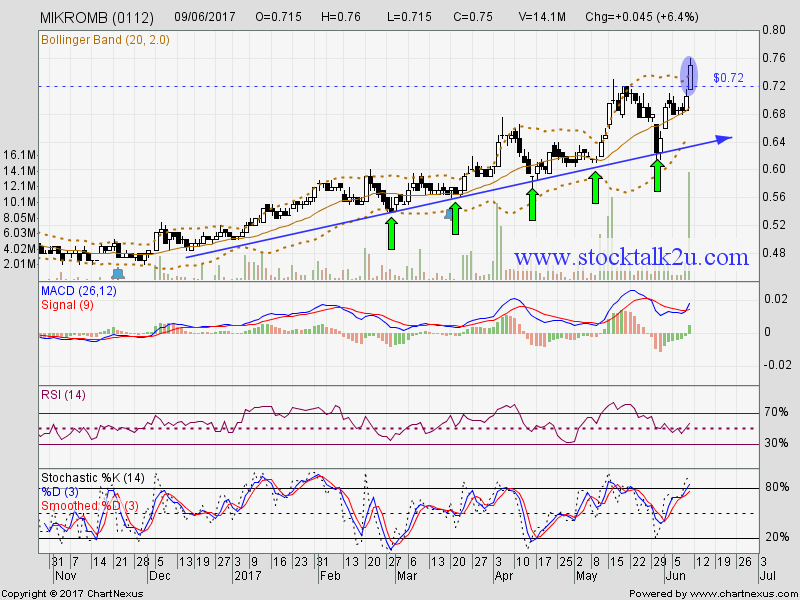 MIKROMB (0112) trading above the uptrend line. Subsequent support @ RM0.66 level. 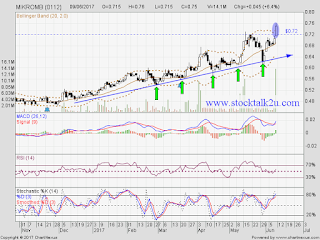 It have succeed breakout RM0.72 resistance level. Higher high is confirm. Uptrend will resume.